Good morning foodies, one of my many foodie passions is talking about how the food we eat affects our creativity, our connection with our intuition and body knowing and our connection to our higher self/God/Goddess/Spirit. 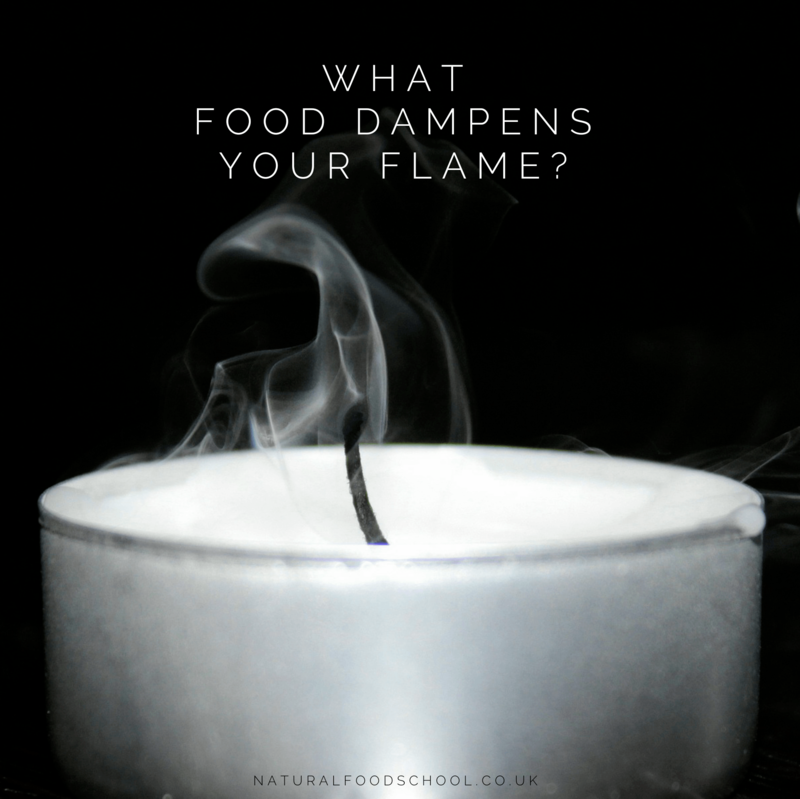 As many of you know I live sugar and processed carb-free and I was nudged into doing so while on a spiritual retreat some years ago when I 'heard' the insight 'sugar dampens your energy. I knew immediately it was true but still it took me a couple of years to really fully embrace it, and the difference I have felt has been profound. I feel more connected to my body and now notice the quiet 'whispers' rather than waiting to be 'shouted' at, a much clearer connection to my life vision and the steps I need to take to create it and a daily sense of 'knowing' when I am 'on track' or 'off track'. Health is all about flow and expansion and the food we eat can either create flow and expansion in the body or slow and stop flow in the body. More alkaline forming foods will create this flow and expansion and more acid forming food will slow it down. We seem to live in a world that is fear based and the human herd mentality based on our survival instinct encourages us to shut down individual expression as this is too risky. We are now 'medicated' with food by BOG Food, our individual unique flickering flames extinguished by the the call to conform by our governments and the masses.... and yet the call to express ourselves is still there for us all, we all have something unique to the pot of human consciousness. So how can we use this information day to day to create more connection to our unique, authentic selves? - Choose food that creates flow; vegetables, whole fruit, whole grains, nuts and seeds. - Minimise the food that slows flow and eventually creates stagnation in the body; processed food, meat, dairy, wheat products, caffeine, alcohol and sugar. - Become conscious of when to use food to slow things down a bit in a helpful way and when to ride out the feeling. I have found this particularly helpful when clients are detoxing a little too fast and may be feeling a little nauseous and emotionally overwhelmed and are tempted to 'throw in the towel'. This is when adding something in that will reduce flow can be useful, it could be a slice of toast, a lump of cheese, anything not too processed that will effectively put the brakes on the process for a while so you can regroup. - Raise your vibration a little at a time by changing how you eat one meal/one snack at a time. Notice the difference, feel the difference and celebrate it.